Analysts are turning their attention to the 2020 presidential election, and North Carolina will likely play a big part. The Civitas Institute, a conservative public policy organization, released a preview of its statewide poll Nov. 26 showing voters are split between favoring Republicans and Democrats in the presidential election. 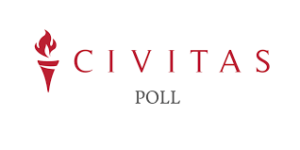 Harper Polling, on behalf of Civitas Institute, surveyed 650 likely voters between Nov. 17 and Nov. 19. The margin of error is plus or minus 3.8 percent. Regardless of the opponent, 35 percent of likely voters said they would vote for President Trump for re-election. Slightly more voters, at 36 percent, said they would vote for the Democratic challenger, no matter who it is. Twenty-one percent said their choice depends on the Democratic candidate. Unaffiliated voters, who are increasingly playing a more important role in elections in North Carolina, slightly favor the president for re-election. Men are also more likely to say they would vote for Trump, compared to 40 percent of women voters, who said they will pick a Democratic candidate, regardless of who it is. Bryson said the results should be interpreted as neither good nor bad news for both Republicans or Democrats. During the 2016 presidential election, Trump won North Carolina’s 15 electoral votes by 3.6 percent. The 2018 midterm went the Republicans way on the congressional level, with the party maintaining 10 of the 13 congressional seats. Republicans, however, lost their supermajority status in the state House and Senate.